Ever have a craving for some pizza for lunch, dinner or even a late night snack? Hereâ€™s your chance to satisfy that craving like a Champion. Donâ€™t waste your money on a frozen pizza.Â Champion Pizza is one of South Anchorageâ€™s best kept secrets. 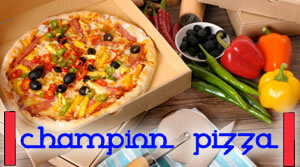 As one of the tastiest pizzerias in town,Â Champion Pizzahas exceptional food at reasonable prices. One bite into their Champion Philly pizza covered with a custom blend of cheeses that gives it that Philly taste and youâ€™ll be hooked. Champion is changing the way people look at pizza sizes. Most pizza places use the 14â€ pizza as their large, but notÂ Champion Pizza. 14â€ is their medium size. They believe that pizza should be measured in inches not by a word that can mean something different from one pizza shop to the next. We salute you in the endeavor of Pizza equalityÂ Champion Pizza! With todayâ€™s Alaska Reward you get one 14â€ pizza with any toppings, which would normally cost you $23, for only $10! Or if you want to upgrade the 14â€ pizza to their Chicago-style deep-dish you only have to add an additional $5. They will even deliver it anywhere south of Dimond with an additional pizza purchase or you can pickup the pizza at their convenient location on Huffman Rd and check out their pizza operation. It is hard to build a great reputation butÂ Champion Pizza has done just that. Offering gourmet ingredients in everything they sell, outstanding customer service, and a need to please your every pizza itch,Â Champion Pizza is truly a step above the rest. Awesome Buffalo Wings & Freshly Baked Cookies! Limit 3 per person. Limit 1 per order. Pickup only or delivery is available with additional pizza purchase. Must use in 1 visit, no cash back. Gratuity not included. Not valid with other offers. $5 extra to upgrade to Chicago-style Deep-dish.